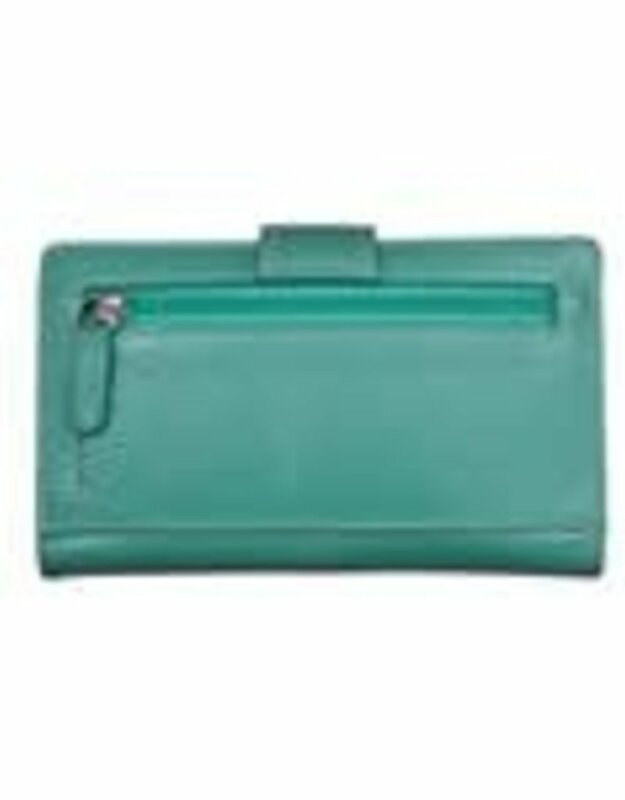 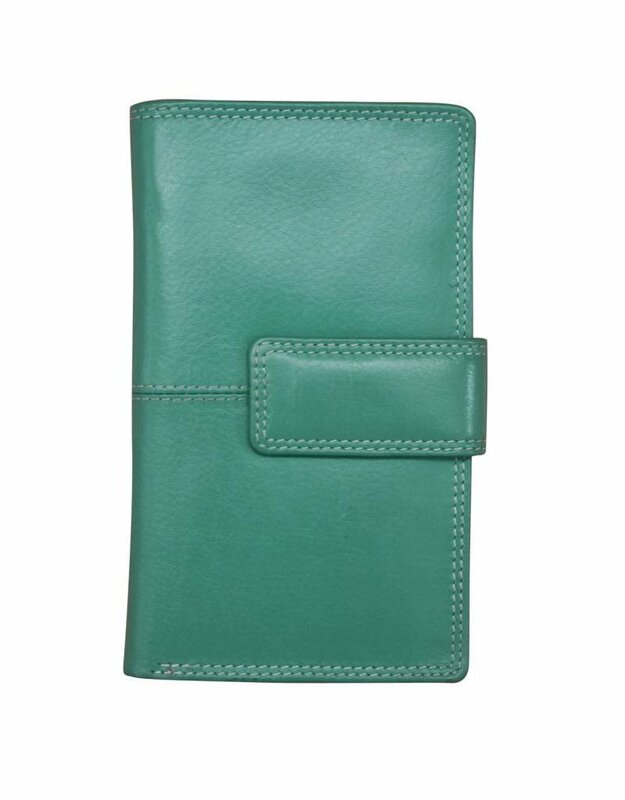 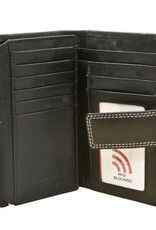 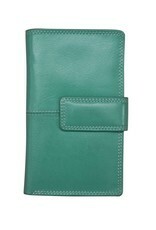 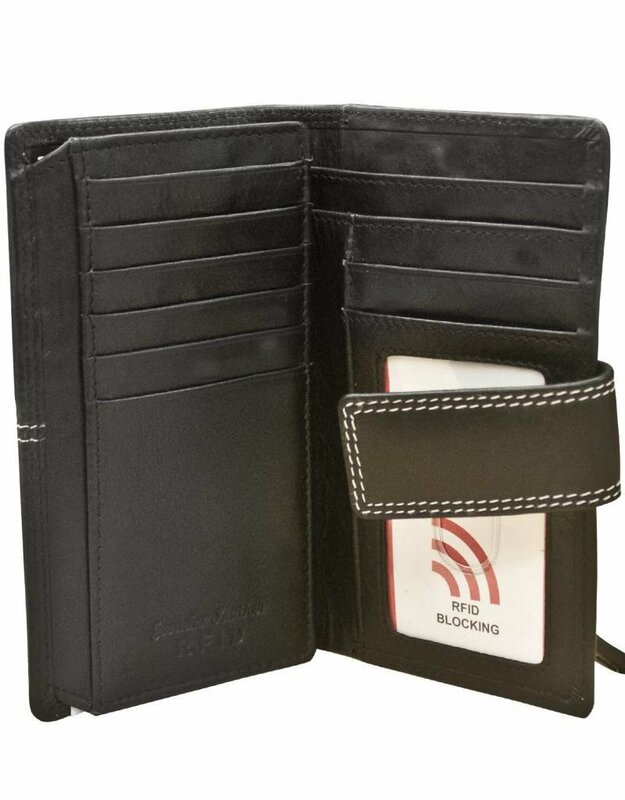 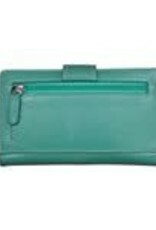 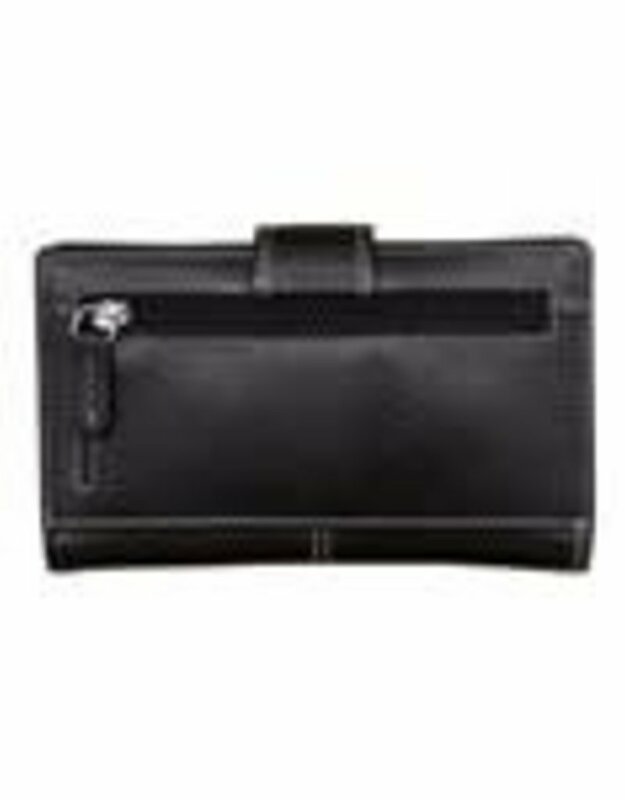 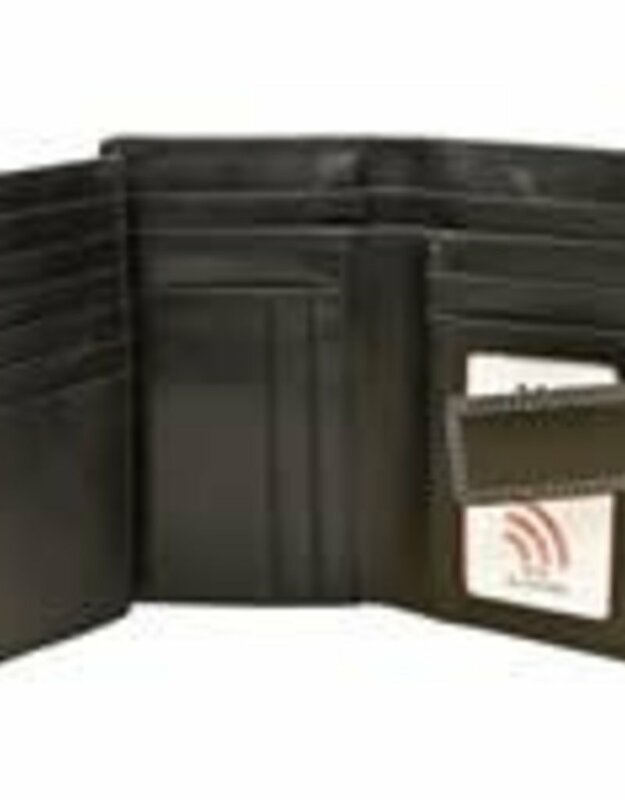 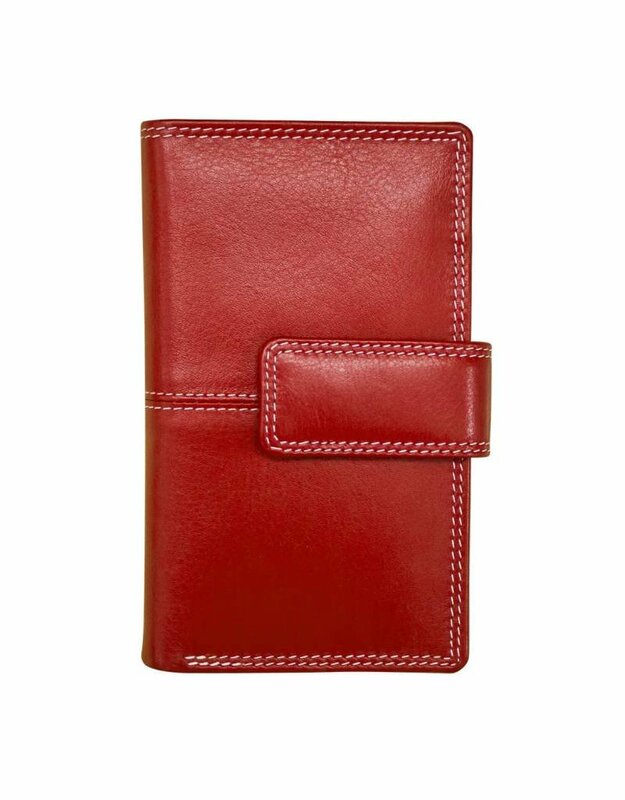 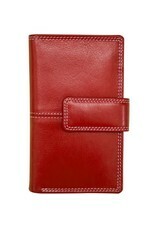 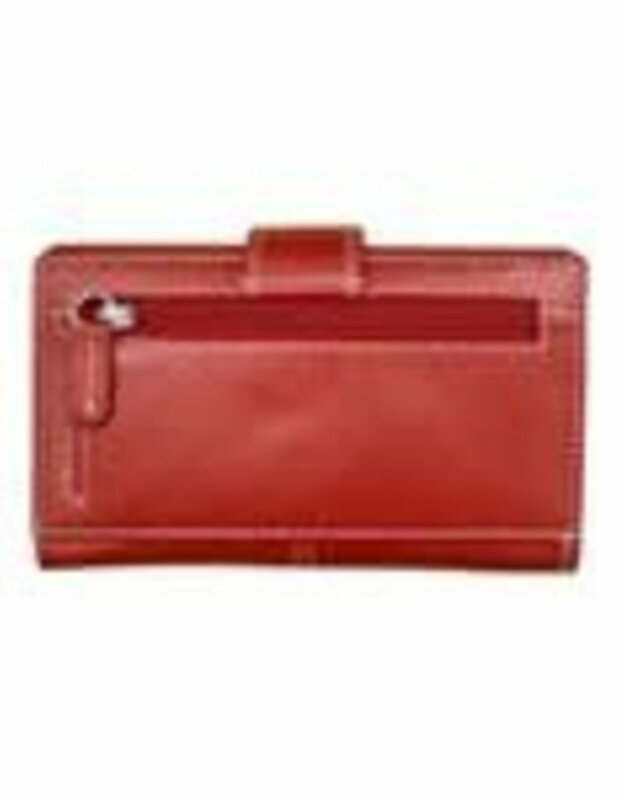 Genuine leather midi wallet with RFID blocking lining and tab closure. Exterior - back zip pocket. 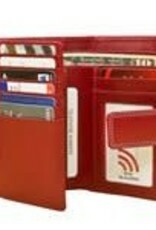 Interior - I.D. 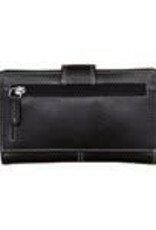 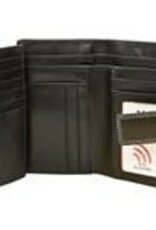 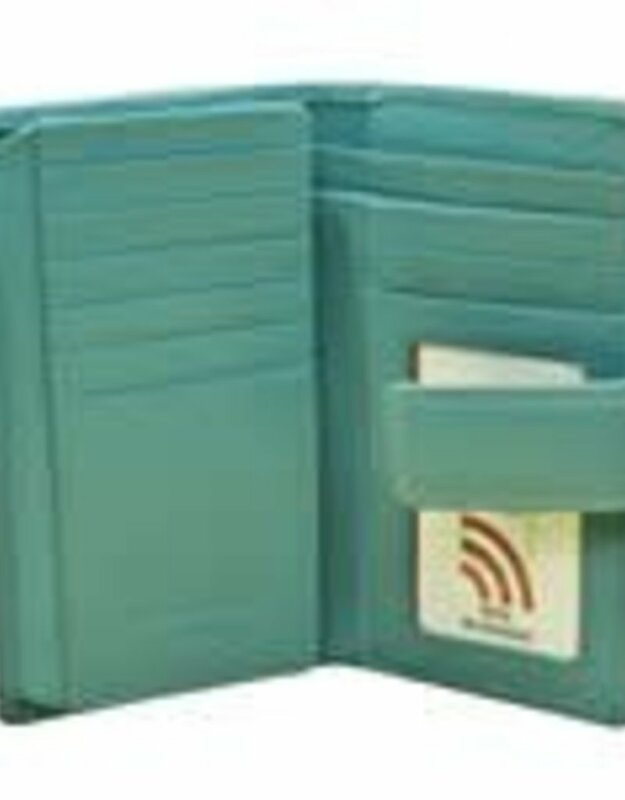 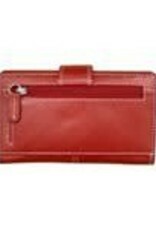 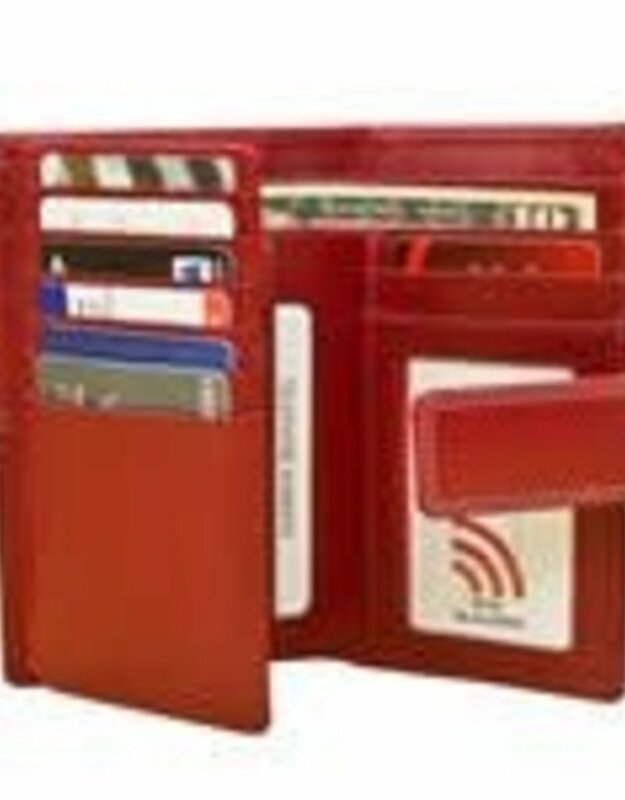 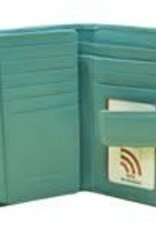 window, credit card slots and bill pockets. 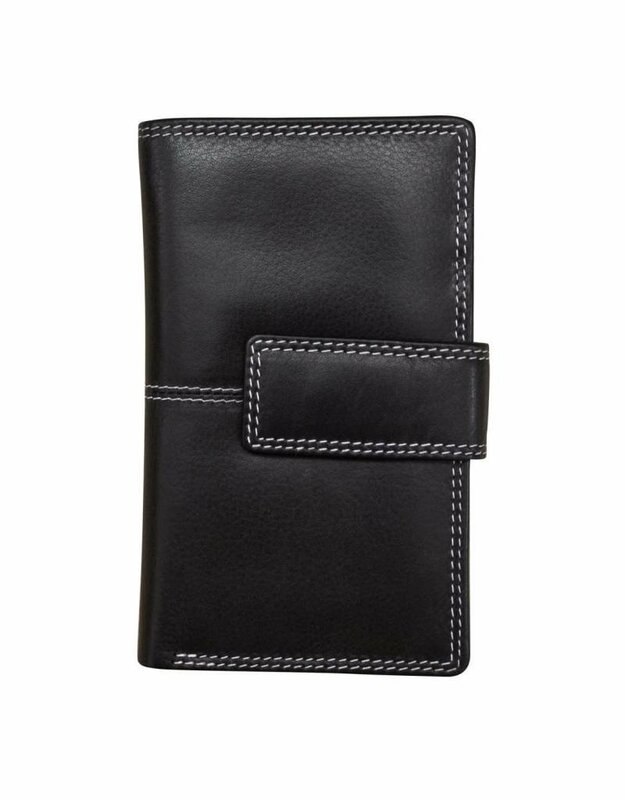 Dimensions: 5.5 x 3.75 x 1 in.